We want you to be able to enjoy your investment as long as possible. To do this, we recommend maintaining your carpets once every six months to once a year, depending on how many people and pets you have walking on your carpets. Spots and spills should be treated immediately by a professional. The longer a spot remains, the more difficult it will be to remove. Urine, Coffee, Tea, Wine, Nail polish, Lipstick, Paint, Crayon, Ink, Juice cocktail, Blood, Vomit, Feces, Candle wax and Chewing gum are all examples of stains. Green Steam Carpet Cleaners is committed to find and use cleaning products, which are effective and environmentally friendly. We also carefully remove and properly dispose of all contaminants. Is there a difference if I do it myself? We offer commercial-grade vacuuming before each carpet cleaning package that will rejuvenate your carpets by removing deeply embedded dirt, dust and pet hair that a non-commercial vacuum simply cannot pick up (most maid services do not even offer commercial vacuuming). 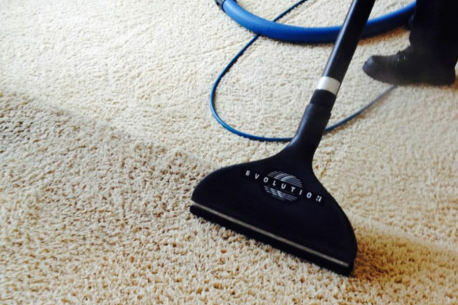 Ensuring you have professionally vacuumed carpets will provide you with the best results. What is the 10-Step Cleaning Process? 1.) Pre-Inspection: Our technician will walk through your home with you to visually inspect the carpet. He will identify potential permanent stains and give you an evaluation of expected results, as well as listen to any concerns you may have. 2.) Pre-Vacuum: Our Technicians will provide a thorough commercial grade pre-vacuum to lift away dry soil that is embedded into and on top of the fibers of the carpet. Vacuuming with a commercial vacuum is essential to our process it will allow for the best cleaning results. (You are welcome to vacuum prior to us coming as well, it will only make the outcome better). 3.) Pre-Treatment: A preconditioning agent is applied to emulsify and break down traffic area soil and general spots for a more thorough cleaning. 4.) Additional Spot Treatment: Difficult spots are pre-treated with special solutions to increase chances of removal. 5.) Power Brush Agitation: A professional carpet rotary brush is used to further loosen the soil. 7.) Soil Extraction and Rinse with Fresh N Clean Deodorizer Rinse: The carpet is then thoroughly rinsed using a powerful extraction cleaning system without over wetting the carpet or leaving a sticky residue behind. 8.) Post Spot Treatment: Any spots or stains still remaining will get extra treatment with our many specialty spotting solutions. 9.) Speed Drying: Our Technicians will place fans throughout the home as they are cleaning. All the speed dryers will be removed once the technician has completed all the cleaning. and is ready for his final cleaning step. 10.) Post Cleaning Inspection: Our technician will walk through your home with you to point out the cleaning results to make sure that you are completely thrilled with the job. Why Should I Protect My Carpets? 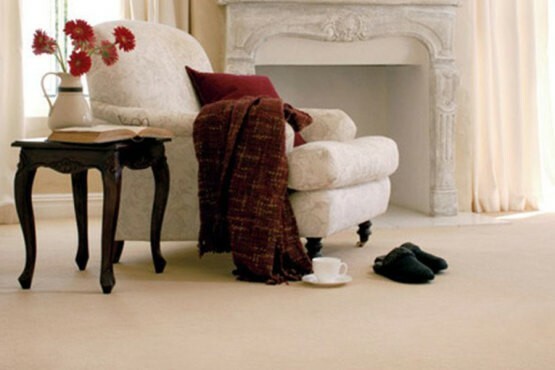 Green Guard Protected Carpets stay cleaner, brighter and fresher-longer! Plus, it makes vacuuming and cleaning up spots easier. So, don’t block off your room block out the dirt and spills. When you apply Protection we offer a 12 month carpet “Spot and Spill” limited warranty to the areas protected. We offer the first TRULY GREEN protector. 1.) A truck mounted system is more powerful than a portable one. We deep clean carpets with the hot water extraction method. This is the only extraction method that is truly a deep clean all other methods area “light surface cleaning” because they are incapable of removing soil deep in the pile. 2.) Also, all other methods leave large amounts of cleaning products in the carpet after cleaning. 3.) Another benefit is that we don’t use your electricity or hot water when using a truck mounted system. Our equipment is powered by a truck mounted generator and is designed to heat cold water. We clean all types of Furniture and Upholstery including: Sofas, Love seats, Chairs, Dining Room Chairs, Mattresses, Auto Interiors, and Custom Pieces. It’s time to give back to that favorite spot you like to sit back and relax. After a long time without cleaning, your upholstered furniture will start to look a little worse for wear. In carpeted homes, up to 80% of the dust and dirt brought into the home can settle into upholstered furniture and carpet. Having upholstered furniture professionally cleaned on a regular basis has two important benefits. 1.) Our professional cleaning process helps prevent damage to upholstery fabric by removing tiny soil particles that, when left unattended, slowly scratch, abrade and permanently change the appearance of your upholstered furniture. 2.) Those tiny particles are allergens to many people and have an impact on indoor air quality. Having dirt, dust mites and other pollutants professionally removed from your upholstered furniture helps to minimize allergic reactions. Technicians will make note of all challenging areas, provide a test clean and set your expectations as well as come up with a solution for each area. We will prepare the areas surrounding the tile, making sure not to disturb any carpeted or hardwood floors. Our technicians thoroughly sweep or mop the entire area, maximizing the results we obtain. As in any cleaning process, dry soil removal is the most important. Complex and difficult areas are agitated manually with a brush and for really challenging heavy use areas, a mechanical rotating brush is employed. The entire floor is then cleaned using a state of the art self-contained pressure cleaning system known as the SX-15 hard surface cleaning tool. Apply an optional Grout Sealer to protect grout from mildew and re-soiling. When our trained staff applies the sealant, a barrier is created, minimizing the amount of dirt that is able to seep into the grout pores. This helps your grout stay cleaner, longer and maintenance is simple because dirt doesn’t penetrate deep into the cracks. Protect your investment with regular area rug cleaning. Depending on a room’s layout and furniture placement, your rugs can be exposed to heavy foot traffic leaving them work and dingy looking. We are equipped to properly care for most types of area rugs and we are able to clean them in your home. Our trained and certified technicians are experts when it comes to determining the cleaning methods best suited to your rug’s particular weave, fibers and dyes. Hand woven & machine made rugs need weekly vacuuming to clean and restore life to the fivers. Never use rotating brushes on fringes. A high quality, custom-cut pad will cushion your rug and help keep it in place, thereby extending the life of the rug. To minimize wear and tear on the rug and fringe, rotate your rug regularly, perhaps every three to six months. Rugs in lightly used locations can be rotated less frequently. This will help keep your rugs looking beautiful for years to come. Can Hardwoods Last Forever! Forever is a little longer then we can comprehend, but your hardwood floors can lasts multiple generations when they are properly maintained and preserved. Green Steam now offers a Wood Floor Cleaning Service that can prolong the life and restore the shine to your hardwood floors. Our Wood Floor Care commercial grade cleaners eliminate dirt, dust, oil and other contaminants that can weaken wood flooring and eventually lead to costly repairs. Using our unique system, we will deep clean your floor and apply a preservation finish that will maintain the integrity and protect your original finish. This process removes soils and grit that is impossible to remove with products available to you. Your floor will be renewed and ready for use in a matter of hours with no messy sanding and the inconvenience that goes along with it. Deep clean and prep your current floor finish to receive a new preservation finish. WE use a professional high speed rotating brush machine to lay down a specialty cleaner, agitate it and then bring it direct back up with squeegees and a vacuum. This leave the floor dry. Rinse and neutralize to bring up any remaining residue. this is accomplished with our unique hardwood floor cleaners. The floor is now squeaky clean and ready for the next step. Application of preservation finish. This finish will be your “wear” finish, applied to protect the original finish and keep your floors in great shape for generations to come. This finish is a modified factory finish designed to bind to original urethane, and aluminum oxide based coatings. A thin but durable preservation coating is applied. Depending on traffic and use, this process can be repeated every year to keep your floors beautiful. IT will not yellow or change the color of your original floor. Will it Remove Scratches and Dents? Our system does not remove any of the intact, original finish or wood. With a sanding or screening process, where the finish is removed along with some of the surface of the wood, the scratches and dents will be removed, but this is a messy, time consuming and expensive process. Our system will greatly improve the look of your floor. Most micro scratches that dull your floor will be filled and disappear. Heavier scratches are coated over, but may still be visible. Dents in the wood remain but also be less visible. Thousands of customers are enjoying the beauty of their hardwood floor again through application of the preservation system. We are sure you will love the results! Our job is to bring back the brilliance of your hardwood floor, not create hassle for our customers. Please make sure the floor is vacuumed, swept, or dust mopped. Light furniture and any breakables need to be moved out of the work area. With your input we can decide what needs to be moved from the floor and what can be worked around. If floors and furnishing are neglected, the finish can wear through causing loss of stain color and damage the actual wood. This will require extensive restoration including complete sanding, staining and refinishing. this process is expensive, time consuming and inconvenient. It may even require you to move out of your home during the process. Engineered wood floors can accept only two or three of the treatments described above over a lifetime. The wood veneer can be sanded away and the floors will need to be replaced. It pays to maintain your floors. The preservation system Green Steam uses is completely dust-free. You will not be cleaning up our dust months later as is the case with the sanding process. We remove soil from your home, not add to it. Our preservation system is odorless, non-toxic and dries to the touch in about an hour. You can walk on the floor in your socks at that time. Furniture may be moved back in 24 hours and rugs after 48 hours. Your regular foot traffic can resume after 24 hours. You can reclaim rooms taken over by unpleasant odors-just have us apply deodorizer to your carpets after we’ve cleaned it. It eliminates odors at their source, leaving you with the sweet smell of victory. feces, vomit, smoke, and lingering cooking odors. We can clean the carpets and upholstery in your car, truck, van, boat, trailer or motor home. How many times have you or a family member woken up from a night’s sleep with itchy or red skin and irritated eyes? How about a stuffed up nose, sneezing, wheezing, tightness in the chest, headaches, or a sinus ache? Chances are, the reason may be the millions of dust mites that made a home for themselves in your mattress, and are feeding on the dead skin cell flakes all humans shed. The best way to kill dust mites and remove dust mite droppings is getting professional mattress cleaner to clean and sanitize your mattress. Green Steam Carpet Cleaners specializes in eliminating dust mites as well as other allergens and bacteria. Indoor air pollution is a serious health hazard affecting millions of Americans. Researchers claim it contributes to more than half of all illnesses, including sinusitis, allergic rhinitis, asthma and more. Common household pollutants include dust, mold, pollen, rodent feces and insect remains. Doing the job effectively requires the right combination of superior technology and attention to workmanship. That’s why you need the experts at Green Steam Carpet Cleaners. Most homeowners have no idea what goes on inside their home’s air ducts. But the fact is, they can become littered with years of accumulated dirt, debris and allergens like pollen, dust and pet dander. Virtually all new construction homes are also in vital need of duct cleaning to remove dust and debris that accumulate during the building of the home. Common construction debris includes: chunks of wood, sheet rock, sawdust (usually lots of this), dead rodents and insects (and their feces), as well as uneaten food and garbage swept into the open ducts by crew workers. The revolutionary duct cleaning process, RamAir, allows for state-of-the-art forced air cleaning with no mess or debris and it won’t harm duct surfaces! It’s the most effective system to date, as well as being the first system ever created that allows the homeowner to actually see all of the dust and debris that is being removed from the duct system with the clear viewing port. This revolutionary system, called the RamAir Clearview Duct Cleaning System, has been gaining world wide recognition and is expected to soon be available in 100 countries across the globe. At Green Steam Carpet Cleaners, we don’t just clean air ducts – we restore heating and air conditioning systems to superior cleanliness, including all mechanical equipment and duct work. Nobody cleans better than Green Steam Carpet Cleaners. Even the cleanest homes have a dirty secret! As soon as your heater or air conditioner comes on, whatever it’s in the air duct is going to end up right back in your house. Things like dirt, pet hair, mold, mildew, insect remains, dust mites, pet dander, dead skin, rodent feces, will end up inside of your home, and you don’t want that! Recent studies, suggest that indoor air pollution is responsible for over half of all illnesses, with a throughout cleaning using the patented RamAir System the air you breath will be from dust, allergens, and irritants that can cause, cause respiratory problems. Call Us Today at (206) 819-2722 to get a quote, and start breathing cleaner air tomorrow!